Prominent & Leading Manufacturer from Mumbai, we offer pharma machinery rubber tube, pharma machinery silicone strip, rubber gasket for pharma equipment, pharma machinery shifted gasket, pharma machinery shifter gasket and pharma machinery rubber transparent tube. 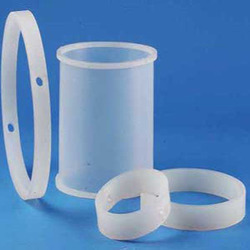 We follow international manufacturing standards in all the activities that enable us to manufacture and supply superior quality of Translucent Rubber Tube to our clients. Offered tube is prepared from best quality rubber and ultra-modern technology, therefore highly demanded for its high quality. Our provided tube is precisely tested by our quality experts in compliance with predefined quality parameters and made available at reasonable prices. For the diverse requirements of our clients, we are engaged in manufacturing, supplying and exporting an extensive range of Silicon Rubber Sleeves. These products are well equipped and ensure longer functional life. High tensile strength and reliable performance are considered as some of the main specifications of these products. We ensure timely delivery of our products. 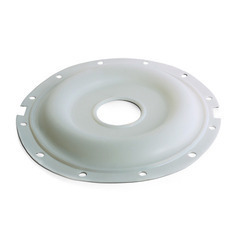 We are pleased to present Rubber PTFE Diaphragms that offer elasticity as well as chemical resistance. These are manufactured by using high-end technologies from the finest grades of raw materials. It has a seamless construction and offers a long functional life. These are designed to withstand challenging conditions and are extensively used in fluid applications including pumps, valves, and so forth. Our clients can avail these at reasonable prices. 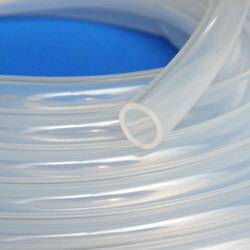 The diaphragms Rubber / PTFE we offer are manufactured using qualitative raw material procured from trustworthy vendors. These are widely used in various industries and have gained huge accreditation in the industry for their host of exclusive features. The entire range can also be customized as per the specification detailed by the clients. A diaphragm is a flexible barrier that spans the gap between a moving and stationary units/members. The primary function of the diaphragm is to prevent fluid interchange between two separated chambers. Rubber diaphragm can be manufactured from a variety of rubber sheets. We are instrumental in offering a wide range of Rubber Gaskets that are widely used in engineering and automobile industries. These are made of superior quality rubber that is procured from well known vendors of the market. We are instrumental in offering a wide range of Rubber Gaskets that are widely used in engineering and automobile industries. These are made of superior quality rubber that is procured from well known vendors of the market. We make sure that the entire range is flawless before delivering them to clients. Customers can avail these at affordable prices. 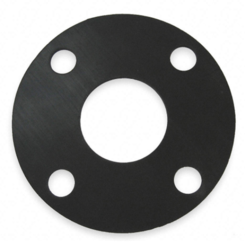 Furthermore, our gaskets find various applications. 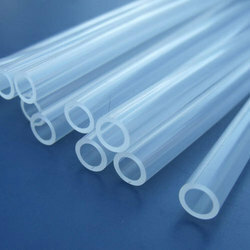 We are offering Transparent Rubber Tube. A butterfly valve is only conditionally suitable for control of volumetric flow over the entire range from completely closed to completely open these silicone butterfly gasket are made using high quality material to meet the FDA standards for non toxicity, and range from neoprene, silicone. 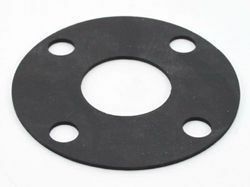 We offer indigenous designed and developed high grade Rubber Gasket. These are fabricated using high grade raw material .These are in good demand in the market due to its durability and high quality at affordable prices.